The Kansas Angus Association is proud to cooperate with the Lewis's at Pratt Livestock and the Langvardts’ at JC Livestock Sales to sponsor our annual Angus Inﬂuence Female Sales. The KAA Commercial female sales welcomes pairs, bred cows and heifers to calve spring of 2019 and open heifers. To insure the quality of this special sale, we have made the following guidelines. 1. Females must meet Certified Angus Beef ®live specifications: be predominately black hided (black white faces and/or “baldies” are accepted). 2. Females must have typical beef-type conformation (no visible dairy influence); and be without long floppy ear and hump (no visible Brahman influence). 3. Maximum age for Pratt sale is 7 years . Maximum age for JC is 8 years-old. Minimum consignment of five head. Cattle may be mouthed. Cattle will be sorted by sale committee for sale order. 4. All females must be preg checked and blood tested.. Calving dates provided are guaranteed by the seller. Open females are guaranteed by the seller to be open and will be preg checked if there are any concerns. 5. Cattle should be at the sale facility by 1 pm the day prior to sale ;if cattle are being preg checked by sale barn you should arrive by noon. Please contact designated sale chairman or hosting sale barn for specific arrival time deadlines. Cost will be the regular sale barn expense plus KAA , commission for the Kansas Angus Association to cover promotion and advertising. 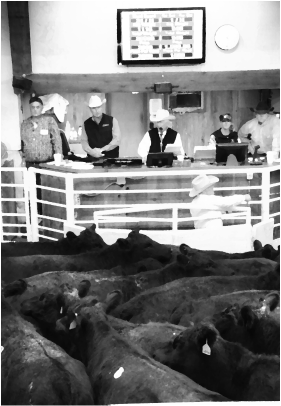 Advertising will be placed in the regional ag publications, Kansas Angus Association Internet listing, and other outlets as determined by the sale staff. There will be a charge for “No Sale” animals.
. Please note that it will be your responsibility as seller to make sure the information you report on your consignment form. is accurate. The Kansas Angus Association provides this information as a service and is not liable for its accuracy.